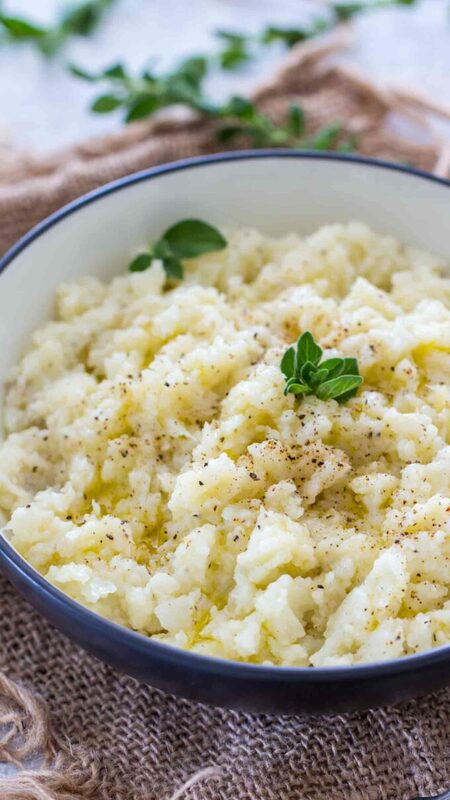 Instant Pot Mashed Cauliflower is really easy to make, healthy and so delicious. Served with a drizzle of olive oil, salt, and pepper. Naturally low in calories and carbs. We love healthy, delicious and easy side dishes. Some other great choices are roasted asparagus, roasted spaghetti squash, and corn casserole. 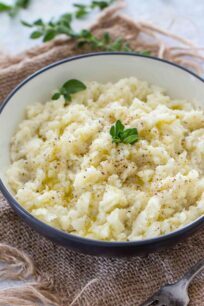 Instant Pot Mashed Cauliflower is very easy to make, I love making it as a healthy side dish and it only takes 3 minutes to cook it under pressure in the Instant Pot. 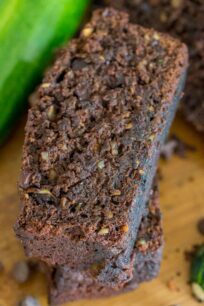 This recipe is low carb, low in calories, creamy and you only need a few ingredients to make it. I like to call it the “basic layer” that you can just dress-up. I like serving this Instant Pot Mashed Cauliflower topped with a runny egg, sliced avocado and an extra drizzle of olive oil. 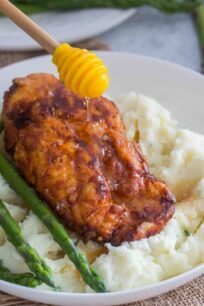 What do I need to make Instant Pot Mashed Cauliflower? Do I need a food processor to make Mashed Cauliflower? You don’t need a blender or food processor to make this recipe. After you cook the cauliflower until its very soft, transfer it to a bowl and use a potato masher or even a fork to mash it. First, don’t fool yourself, it does not taste like mashed potatoes, but it tastes pretty amazing! And you can use your favorite topping or add-ins to make it just the way you like. 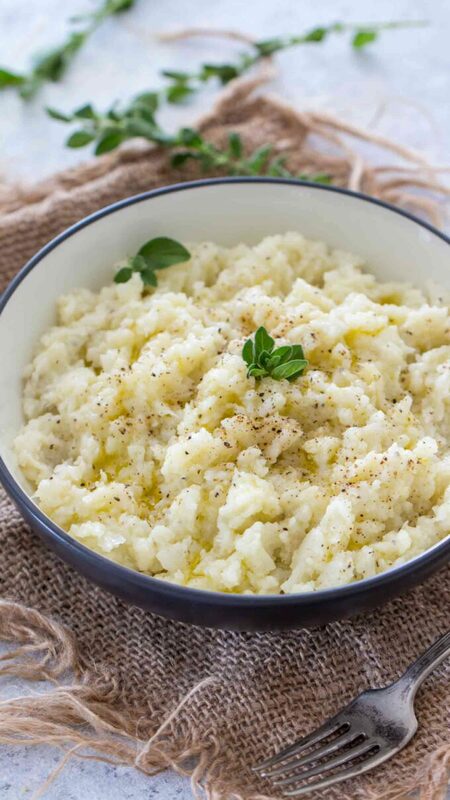 How many calories are into Mashed Cauliflower? There are about 25 calories and 5 grams of carbs in one cup of raw cauliflower and about 5 cups make a medium cauliflower. You are looking at 125 calories per cauliflower before you add any toppings or add-ins. How do you store mashed cauliflower? 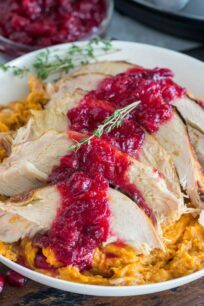 Cool cauliflower puree and refrigerate leftovers in containers for up to 3 days. Freeze leftovers in BPA-free containers or in freezer bags for up to three months. Thaw overnight in your refrigerator. For healthy mashed cauliflower: I like to do a drizzle of olive oil and season them with just salt and pepper. Also, for garlic mashed cauliflower: you can either use 1 tablespoon of minced garlic or some garlic powder. Season with salt and pepper, you can also add some cheese on top. For cheesy mashed cauliflower: you can add a tablespoon of butter and 1/2 cup of shredded parmesan reggiano. Mix the cheese while the cauliflower is still warm. Jalapeno popper mashed cauliflower: 1 sliced jalapeno, mix in 1/2 cup of cheddar cheese and top it with a dollop of cream cheese. Mix the cheese while the cauliflower is still warm. Loaded mashed cauliflower: bacon crumbs, 1/2 cup of cheddar cheese, top it with a dollop of sour cream, chopped chives or chopped green onions. French onion mashed cauliflower: caramelize one shallot with some minced garlic and fresh chopped thyme. 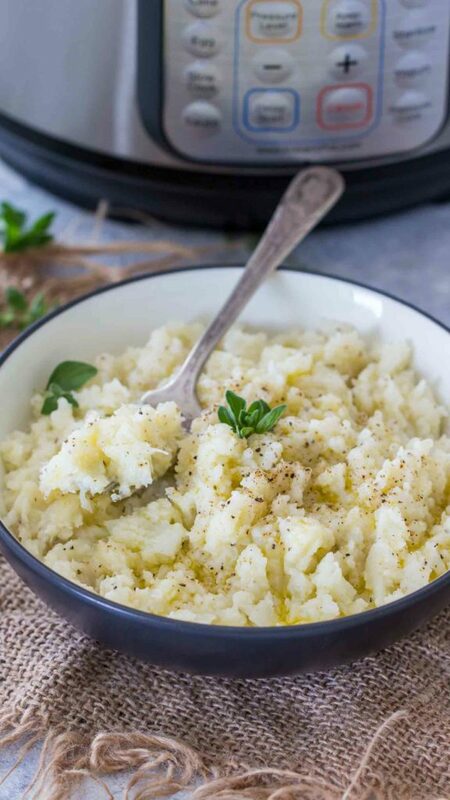 Instant Pot Mashed Cauliflower is really easy to make, healthy and so delicious. Served with a drizzle of olive oil, salt and pepper. Naturally low in calories and carbs. Add a steamer basket to the bottom on the Instant Pot. Remove the core from the cauliflower and roughly chop it or break it with your hands into individual florets. Close the lid and set the valve to the Sealing position. Cook on high pressure for 3 minutes. 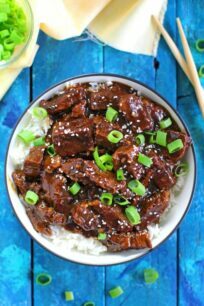 Do a quick release to release the pressure after the Instant Pot beeps. 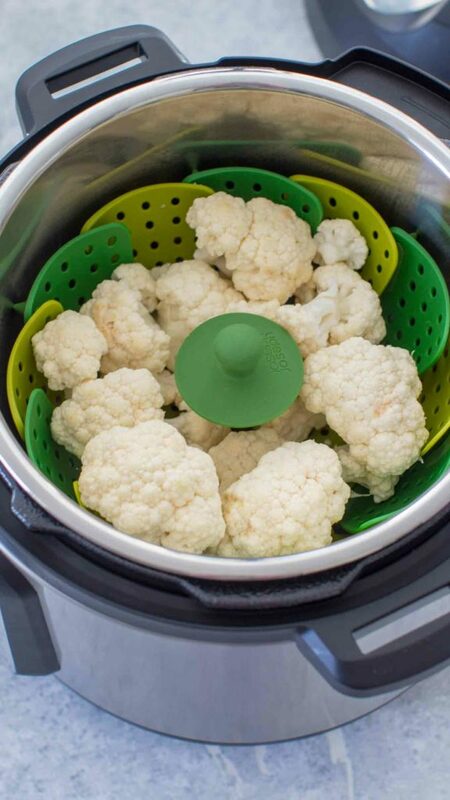 Transfer the cauliflower to a food processor or to a large bowl and use a potato masher to mash it. Season it with salt and pepper and a drizzle of olive oil. Optional: Add desired add-ins toppings listed in the post. Serve immediately with an additional drizzle of olive oil and freshly cracker pepper. You can easily reheat the mashed cauliflower in the microwave. I’m so excited to try this! 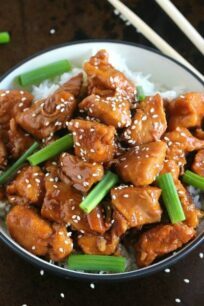 Such an easy side for any meal! 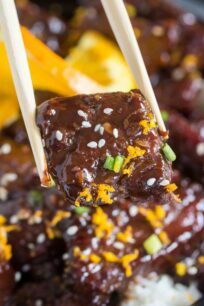 This is an amazing side dish! I love cauliflower and that looks delicious! I am going to have to give this a try. I love cauliflower so I am sure this would be perfect for me and my family. 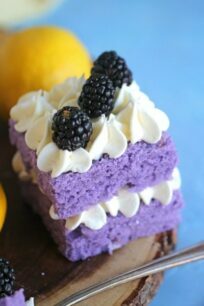 I am going to have to make this. I am curious to see if I can trick my family into thinking these are normal potatoes. This is one I haven’t tried in my IP yet! Mashed cauliflower is always a good idea for dinner! Where did you get the insert? recipes. However, in order to make the recipe absolutely clear, there needs to be a specific direction -after instructions to cut up cauliflower-to place the cauliflower into the steamer basket. I’ve never made cauliflower in the IP . .oh, but you know I am now! 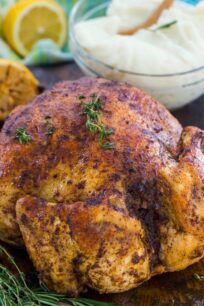 Perfect for our holiday meal this weekend.